Juicy golden sweetcorn on the cob. We deliver it with the leaves intact to keep it fresh – natural packaging at its best. Invest just 5 minutes, a pan of boiling water and a generous smear of butter for one of the great finger-licking joys of the summer. 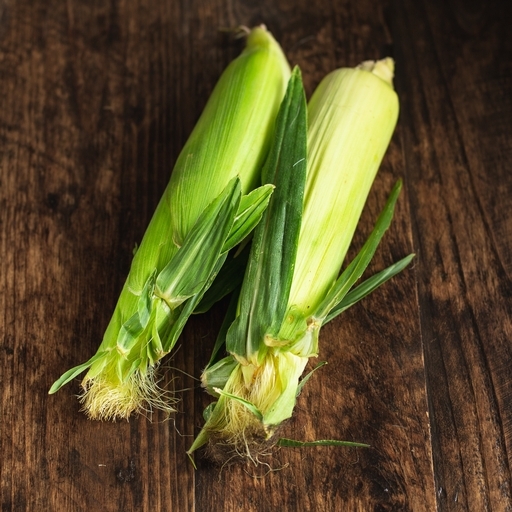 When your corn is fresh, boiling or steaming is difficult to improve on. Anoint with butter and munch straight from the cob. Or cut off the kernels (a serrated knife is best for the job) - wonderful in soup, salsa, relish and salad. Best cooked really fresh. Keep in fridge with leaves on - no other packaging needed. Late August or early September onwards for a few weeks.